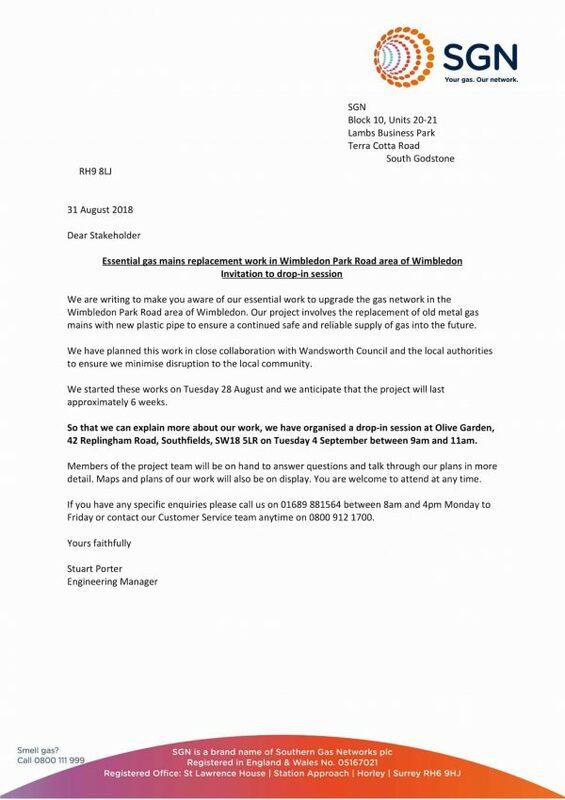 SGN have have organised a drop-in session for local residents and business owners to learn more about the urgent gas works that started last week. The drop-in session will be held at Olive Garden, 42 Replingham Road, Southfields, SW18 5LR on Tuesday 4 September between 9am and 11am. Members of the project team will be on hand to answer questions and talk through our plans in more detail. Maps and plans of our work will also be on display. You are welcome to attend at any time. You may view or download a copy of the SGN invitation below.